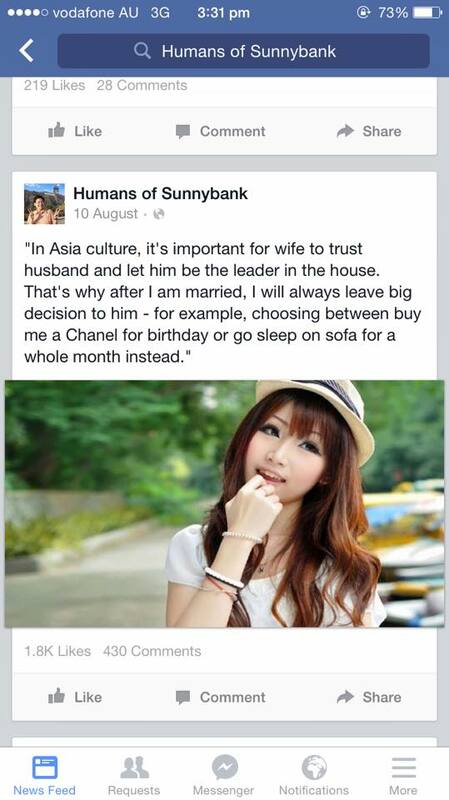 In Asia culture, it’s important for wife to trust husband and let him be the leader in the house. That’s why after I am married, I will always leave big decision to him – for example, choosing between buy me a Chanel for birthday or go sleep on sofa for a whole month instead. Created about 3 yrs, 6 mths ago (October 23, 2015). Updated about 3 yrs, 6 mths ago (October 23, 2015).